Welcome to the 27th Link It or Lump It Party! So glad you're here...partying with us. 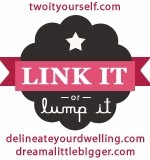 Before we get to this week's features I want to make sure you didn't miss the biggest giveaway yet on Two It Yourself! 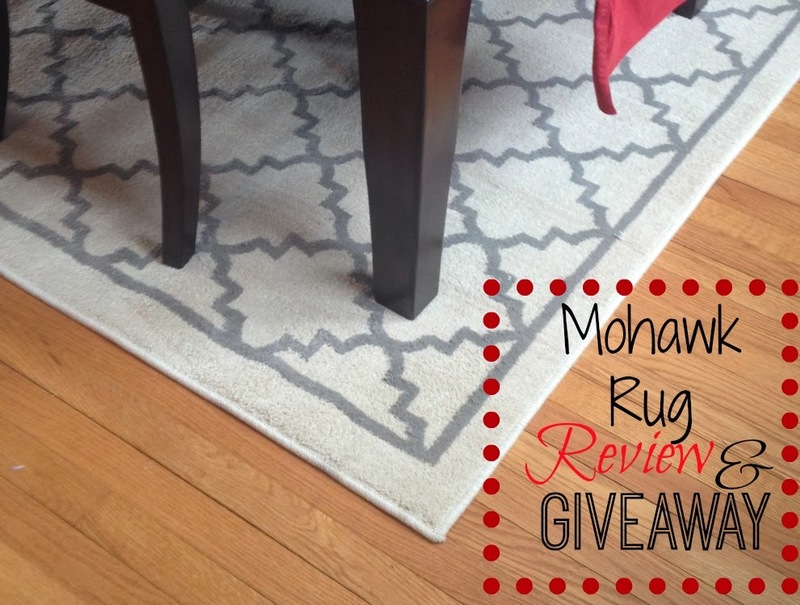 We've teamed up with Mohawk Home to give one lucky winner a brand spankin' new rug! 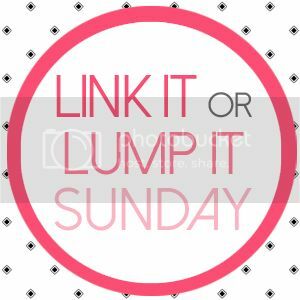 What makes this little giveaway even better it's WINNER'S CHOICE! The winner can pick any Mohawk rug up to 8x5' and $150...Get entering, partying people! First up, Anna from Home, Heart and Hands shared her Extreme Chair Makeover and it is a stunner! You will simply not believe what she was working with..head over to check out the 'before.' Wowzers..amazing job. Mary Beth from Cupcakes and Crinoline shared a really fun and easy way to upcycle a basket that had seen better days. How clever is she adding belts! Wouldn't that make a great beach bag! 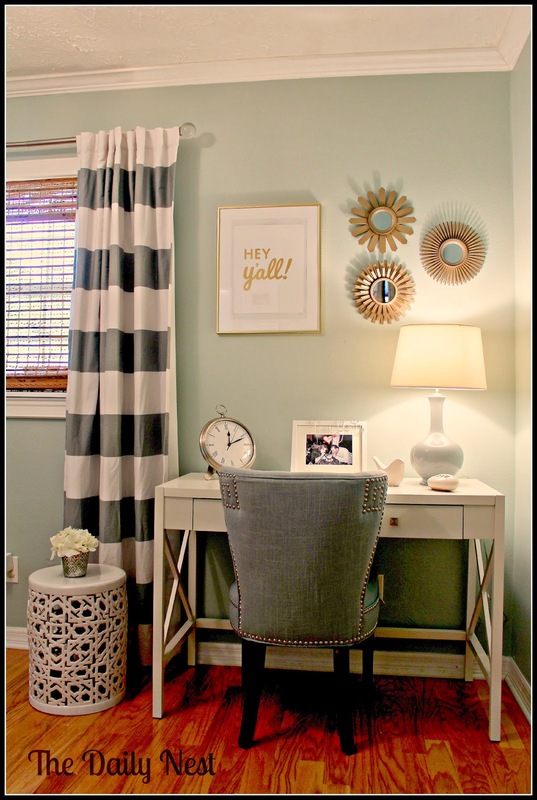 Kathy from the blog The Daily Nest shared a great guest room makeover reveal. There is so much fun stuff packed into this room - from the light fixture to the desk chair to the curtains - I'm pretty much just scrolling up and down her page to take it all in! Love, love, love. 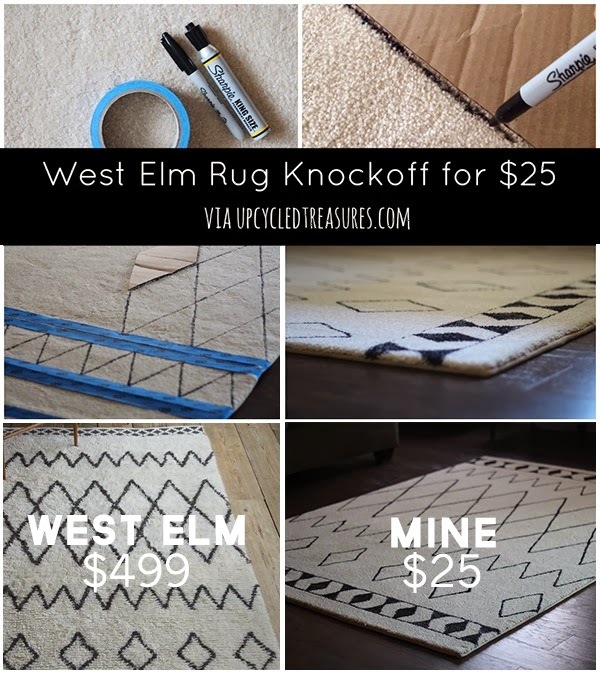 And finally, Kate from Upcycled Treasures made a DIY Sharpie Rug which is right up my alley. She nailed this West Elm knockoff and saved a bundle!